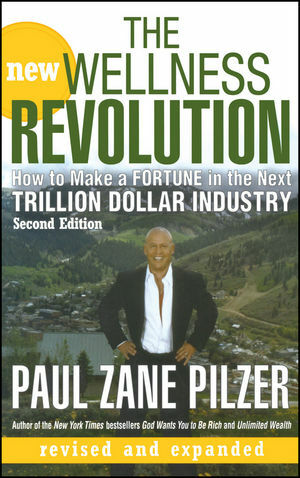 Read the Preface, Introduction, and Chapter 1 at thewellnessrevolution.paulzanepilzer.com. Five years ago, Paul Zane Pilzer outlined the future of an industry he called “wellness” and showed readers how they could get in on the profitable bottom floor. The New Wellness Revolution, Second Edition includes more guidance and business advice for entrepreneurs, product distributors, physicians, and other wellness professionals. It’s an industry that will only grow, so get in while you can. Introduction: Why Wellness is the Next Big Thing. Chapter One. Why We Need a Revolution. Chapter Two. The Baby Boom Generation: Understanding and Controlling the Demand for Wellness. Chapter Three. What You Need to Know About Food and Diet. Chapter Four. Making Your Fortune in Food. Chapter Five. Making Your Fortune in Medicine. Chapter Six. What You Must Know about Health Insurance. Chapter Seven. The New Health Insurance Solution: Helping Your Customers Finance Their Wellness. Chapter Eight. Making Your Fortune Distributing Wellness. Chapter Nine. Direct Selling – How to Get Started. Chapter Ten. Staking Your Claim: The Next Millionaires. Appendix A. Fat: What Is It, How Do We Get It, and How Do We Define It? Appendix B. Shifting from Sickness to Wellness Medical Care.